Much of the strip of land immediately east of the Square Mile, between Marlborough Street and McConnell Avenue, was known as the Dingwall Estate on Lot 7. That strip included what became the Bob Turner Arena and the Joe St. Denis Field, both at the Cornwall Athletic Grounds at the s.e. corner of 4th and Marlborough Streets. At its inception, the Cornwall Athletic Grounds, although in the Township outside of Cornwall, was owned by the City and operated by the Cornwall Athletic Commission. It was considered as one of the finest playing fields in the Dominion and the centre for lacrosse, softball, baseball, rugby and others as well as serving as a community playground. For other great images and related commentary on the work of the Cornwall Athletic Commission, please see our post on O.C.O.T. at this LINK. A 1927 Cornwall plebiscite saw 376 in favour of Cornwall purchasing the Grounds and 102 opposed. The majority abstained from voting. Prior to the construction of the arena, a large grand stand backed onto Marlborough Street. Can you identify the water tower in the background? In 1950 a wind storm toppled the old 3,000 seat wooden grand stand, which also featured a steep wooden toboggan slide. There was discussion on replacing the grand stand with a concrete version, but bleachers were decided upon instead. In the above photo mayor Archie Lavigne and Larry Kean Sr stand amid a group of boys who anticipate the sod-breaking for the new arena, which officially opened in 1961 and was re-named in honour of the late Bob Turner the following year. Below is the completed arena. In 2013 the City demolished the arena in favour of newer facilities across town. The refrigeration equipment was salvaged and placed in use at the Beachburg arena. 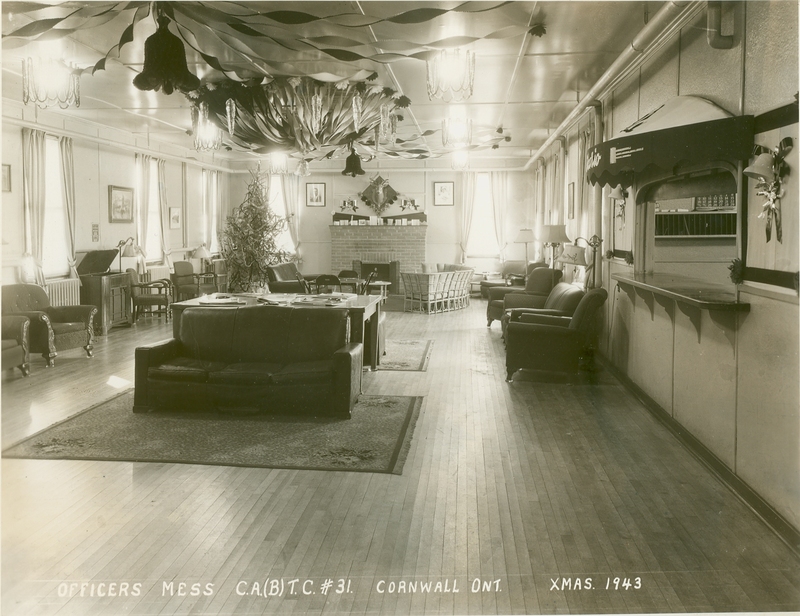 and north of there at 601 Marlborough, the Cornwall Army (Basic) Training Centre #31 during World War II. Initially it was referred to as the “NPAM (Non-Permanent Active Militia) Training Centre”. The centre collaborated heavily with the 2nd Battalion, sharing facilities and training staff when not in use. The area to the north and east was very rural back then. Please follow this LINK to view a post on the CA(B)TC. Six of the barracks were designed to sleep 136 men and one was for 68 men. Each of the two kitchens were designed to feed 500 men. Notice in the aerial photos how much the camp was enlarged from the original plan. Additional buildings were added and the recreation centre was enlarged. The oval half-mile track north of the training centre was created by the Cornwall Driving Club in the Spring of 1943 on land that it leased in order to create a replacement for the race track lost when the Fair Grounds was converted to Victory Housing. Twilight trotting horse races had been popular in recent years. In February of 1946, the City purchased 13 of the huts at a cost of $4,122 from the War Assets Corporation, on the condition that they not be sold to individuals for housing. That was 8% of the $51,501 original cost. Some of the huts were re-located to area parks for use as club houses, including these at King George Park. Two of them also made their way to 15 First Street West and put together in an inverted “T” with the front building bricked for use as a YMCA. 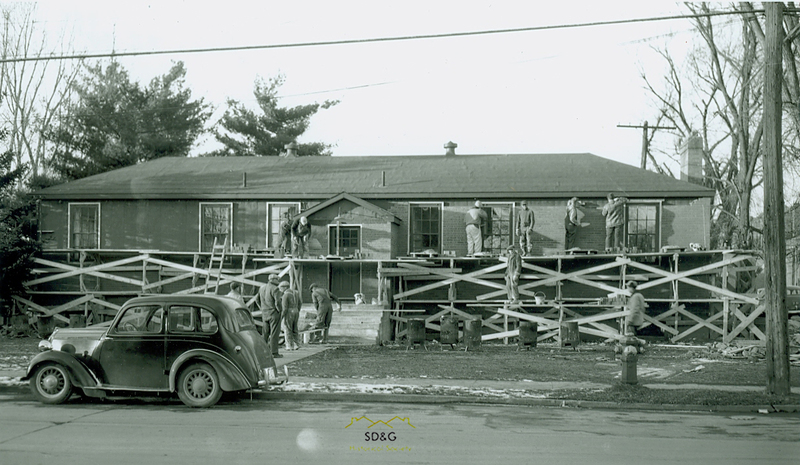 Between January 22, 1948 and October 1 of the same year, between 35 and 43 County Gaol prisoners from Brockville, Cornwall, Kingston and Ottawa dismantled 30 huts from the camp to be relocated to provide temporary lodging during the construction of the Rideau Industrial (jail) Farm at Burritt’s Rapids. On October 1, Rideau Industrial Farm’s superintendent, Edward Griffin, reported that 30 Camp 31 buildings, purchased from War Assets Corporation, had been dismantled by that time preparatory to shipment and that six of those had already been shipped and three re-assembled as temporary barracks. The 43 inmates then at the Cornwall site were completing clean up of the decommissioned Camp 31. At that time 18 prisoners were already stationed at the farm facility. RIF also obtained some huts from another facility. Griffin, a 17-year staff member at the Guelph Reformatory was appointed to the new role on January 12. Joining him at the Cornwall site was Griffin’s new senior assistant, Sgt Gordon B. Silcock and Inspector T. Gourley. Construction of the permanent structures at RIF began in the Spring of 1949. The Army buildings as well as four existing Burritt’s Rapids farm houses and outbuildings sufficed during the Burritt’s construction. The correctional facility closed in 2004. This aerial view is ca. 1960 after the camp disappeared and prior to new residential neighbourhoods opening up on the former camp grounds across from the Hospital. The municipal water tower was erected near the intersection of Ninth and Marlborough Streets and has since been replaced with a newer style tower several blocks north. An apartment building was erected and still stands south of the former water tower. The School for Retarded Children (later known as the Kinsmen School) was erected near the intersection of Ninth and McConnell and recently  demolished to create a safer intersection. On the north side of Ninth Street can be seen the former Bell Canada building, which has since been demolished and a retail plaza erected on that small strip of land. At the southeast edge of the former Camp 31 sits the now closed Gladstone Public School at 825 McConnell Avenue. The school board acquired the four acre property in 1953 to relocate the school from its overcrowded Baldwin Avenue site. In 2017 Bridgewood School replaced both Gladstone and East front Public Schools. In In June of 2018 plans were announced to transform the former school and to add new structures to create a multi-purpose medical centre, benefiting from the close proximity of the medical centre and hospital across the street. Brothers Henry and John Whittaker opened their fruit and vegetable store east of the Athletic Grounds in 1888. 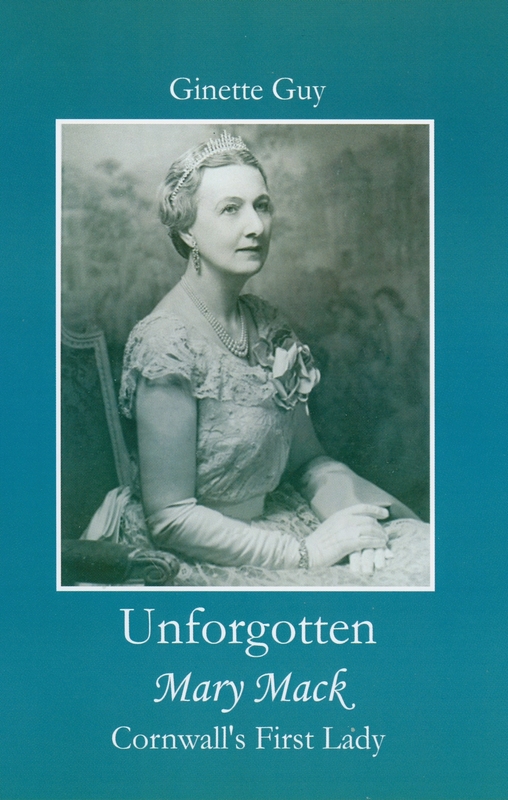 By WWI they were wholesaling flowers and ultimately made the florist trade their business. In addition to their greenhouses and store at 302 Baldwin Avenue, for a time they operated a downtown gift shop. The photo below is the view of the greenhouses from McConnell Avenue ca. 1960. Four generations later they quietly closed shop one morning in May of 2010. In 2017 Whittaker’s was still standing, boarded up and the remaining newer greenhouses overgrown with weeds and trees. The City had gained ownership of the property due to a large amount of back taxes. Sadly trees ended up growing through the roof of the greenhouse and it became a refuge for feral cats and an attraction for “explorers”. As a result and having no use nor buyer for the property, the City had a contractor demolish the green house in December of 2018. For more information on Whittaker Brothers, please follow this LINK to our related article.